In 1992, a decade before Michigan took a great interest in film with tax credits and film incentives, and the growing accessibility of digital film technology that makes it even more disposable than ever to shoot a film, one renegade filmmaker utilized the landscapes of Michigan before many others were doing it with “Hellmaster”. Directed by Douglas Schulze, it was a game-changer in terms of Michigan independent filmmaking, since then the film has gathered worldwide distribution, and it has aired on cable television on such prime channels as HBO and Cinemax. Shot on 35mm stock, it was a horror movie made with mostly Michigan local actors that starred iconic horror actor John Saxon that appeared in the Bruce Lee martial arts classic film “Enter the Dragon”, Wes Craven’s “A Nightmare on Elm Street” and Dario Argento’s “Tenebre”. The Great Lakes State already has three iconic filmmakers, Michael Moore, Sam Raimi, and Paul Schrader. Schulze hopes he can build a more recognizable name like those iconic names in the near future, a Michigan native, who has made maverick independent horror movies in and around the Metro-Detroit area now for almost 30 years. Schulze filmography is an impressive body of work where each film has had strong distribution from reputable distributors such as Lionsgate, Anchor Bay, and ThinkFilm. Schulze specializes in the horror genre and most of his films have epitomized themes of lost faith, grief, and the affliction the past has on the present day. Schulze often cast his movies with locals, and he also uses iconic horror actors to help bill his projects into better distribution deals that can attract a wider audience. Schulze’s films have always understood that successful horror isn’t always about guts, gore, zombies or vampires, but the real fear we have is from our own past sins. Schulze has captured that well in many of his films, most notably in “Dark Fields”, a horror film that follows three generations of a farming community that is cursed from a drought where a family must continue to use human sacrifice to overpower the curse. Douglas Schulze is a filmmaker with a unique visual flair, by creating unique and striking compositions, with a lot of thought and preparation put into art direction along with unique special effects that range from gruesome to harrowing are mostly all done with practical effects. Douglas Schulze is one of the most regarded current Michigan independent filmmakers working in the landscape today. His current film, “Mimesis: Nosferatu”, shot on location in Michigan, was co-written by Jeff Meyers and Schulze which is about a deranged high school theater professor who puts on a stage play of the classic vampire story of “Nosferatu”, only for it to turn deadly after reality begins to imitate art. In 2011, he released “Mimesis: Night of the Living Dead”, which was distributed by Anchor Bay Films and Lionsgate where it also ranked in the top 10 rentals of XFinity and Comcast. Now his new film “Mimesis: Nosferatu” is currently playing on the film festival circuit where it had its world premiere at the 38th Annual FantaFestival in Rome Italy, and it will be holding its very first United States screening at the upcoming MonsterPalooza in Pasadena, California which is the nations second largest horror convention. Outside of his own films, Schulze has opened his own film school in Troy, Michigan at the Motion Picture Institute in 1997, and to this day he continues to teach courses on filmmaking at Michigan’s longest running film school. A graduate in film studies from Eastern Michigan University, Schulze shares to MPI students his past experiences, and he covers the techniques of film directing that includes camera angles, staging, story-boarding, working with actors, how to hold professional auditions, and many other directing skills. At his school, Schulze talks about the value of studying from the master filmmakers like Stanley Kubrick, Ingmar Bergman, and David Lynch, and his school allows and embraces students to further hone and develop their style and craft. Director Douglas Schulze continues his success and follows up with his horror movie franchise with “Mimesis: Nosferatu”, which will have a special screening at Monsterpalooza this April, and to celebrate the independent filmmaking spirit of Douglas Schulze, we decided to do a retrospective of his complete body of work. Douglas Schulze directorial debut starred John Saxon, David Emge, and Ron Asheton of Iggy and the Stooges, and it aired on HBO and Cinemax in 1993. The film was released on VHS by AIP Home Video where it was available at the time at such video store chains as Blockbuster Video and Suncoast. The 35mm color negative film is currently being restored by cult film previsionists Vinegar Syndrome. The Director of Photography of “Hellmaster” was Michael Goi who DP’d various episodes of “American Horror Story”. 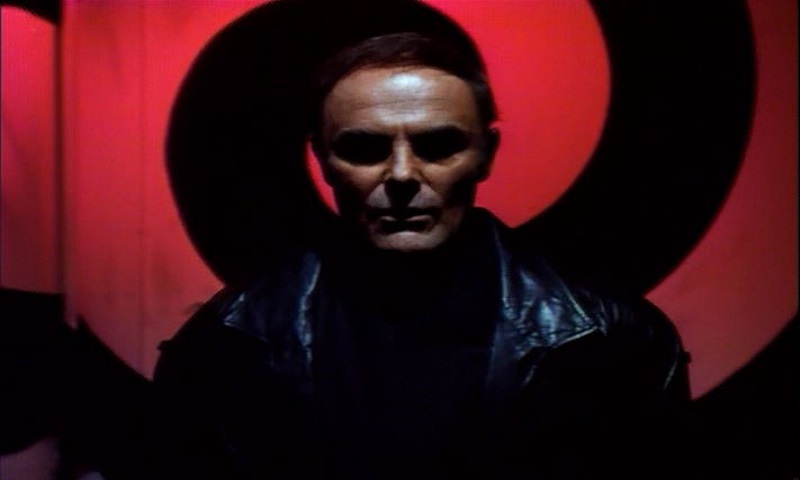 The film is about a deranged psychotic college professor (John Saxon) that turns his students into vicious killers after he injects them with a drug. Horror movie fans will be pleased with the films practical special effects and make-up. The film will be re-released in late 2019 and is expected to get a Blu-Ray release by Vinegar Syndrome later this month. 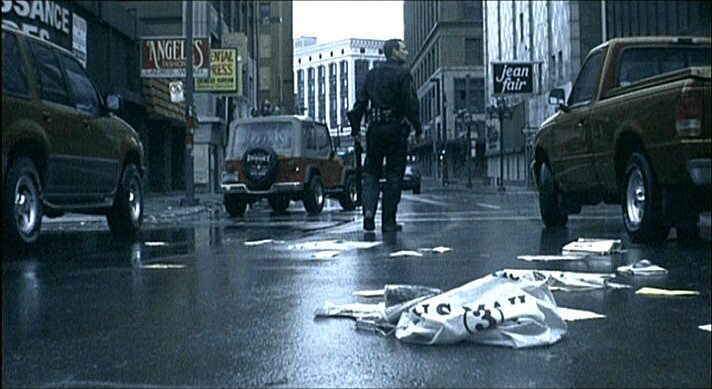 Sold as a Blockbuster Video exclusive and a top rental, the film featured special effects make-up and FX by Oscar winner Chris Walas (The Fly, Gremlins), and it was released by THINKFILM in 2002. Douglas Schulze’s “Dark Heaven” is a apocalyptic journey about Gabe, a Detroit City cop who returns to his job after the death of his wife, Amanda, and their stillborn son Adam. As horrid memories of his past plague his psyche and livelihood, Gabe is stranded in a vacant city of abandon buildings, homes, and streets. It is revealed the apocalypse is happening around him as dark angels battle for the possession of his soul as Schulze merges the abstract with the surreal. 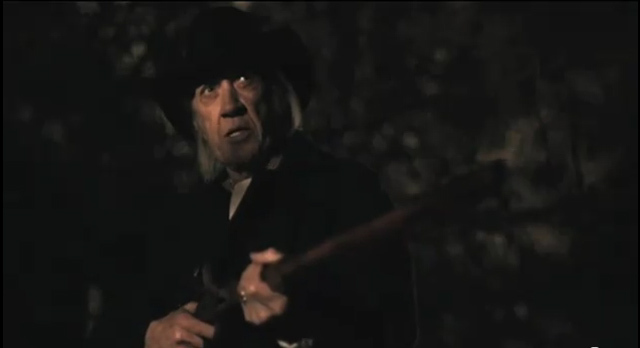 With an impressive cast that includes the late David Carradine (Kill Bill, Bound for Glory, The Serpents Egg) who delivered one of his final performances, Dee Wallace (The Howling, E.T. ), and the late Richard Lynch (Halloween 2007) was an ambitious film that used an interweaving structure that was in the vein of “The Hours”, where each story takes place in three different time periods (1800’s, 1950’s, and present day) as it followed a curse that inflicts the community of a town named Perseverance, which leads the community sacrificing their own children so they can bring rain to the endless drought the community is stuck with. “Dark Fields” also aired on various Showtime Networks and channels and was distributed by e1 Entertainment. Distributed by Anchor Bay Entertainment and Lionsgate Entertainment, Douglas Schulze’s most tongue-in-cheek and meta horror film to date is about a group of horror fans that band together to attend a horror convention, only to find themselves going to a remote farmhouse for a late night after party. They wake up and each of them is dressed like the characters from George A. Romero’s classic, “Night of the Living Dead”, which leads them fending themselves off from zombies inside a farm house that looks identical to the house in “Night of the Living Dead”. An avant-garde high-concept thriller is Douglas Schulze most harrowing and immersive. Shot mostly underwater and without any dialogue that showcases the horror of a woman (Lauren Shafer) trying to escape her own drowning under a frozen lake as a serial killer (David G.B. Brown) observes her from above the lake. “The Dark Below” received a limited theatrical release and was distributed by Parade Deck Films where it was released on Red Box and several streaming services. The film also played at such world class festivals as L’Entange in Paris, France and Fantasia International Film Festival. After holding its European premiere in Rome, Italy at the renowned 38th annual Fantafestival, Douglas Schulze sixth feature film will be holding its US screening at the largely attended MONSTERPALOOZA which is one of the worlds best trafficked horror conventions. Just as “Mimesis: Night of the Living Dead” was a meta exploration of the horror genre that used Romero’s classic “Night of the Living Dead” as its main core and inspiration for the story, Schulze this time has used F.W. Murnau’s “Nosferatu” for its main influence that merges the tropes of a teenage slasher film and a vampire movie. The film is about a dramatic arts school that attempts to stage a live performance of “Nosferatu” that leads the students down a journey of deadly intentions by their deranged theater instructor Prof. Frederick Kinski. Good article. Excited to watch the film. How have I not heard of these? Hellmaster looks awesome! I love 80’s and 90’s horror!